Etkinlikler Toplam Sonuç : 3444. Dünyanın dört bir köşesinde yapacak çok şey var! Special Offer - Book now and save almost 25% on the recommended retail rate! - Book Now! You'll land for an unforgettable champagne picnic, 3,200 feet (960 meters) below the rim. While you share a bottle of champagne under an authentic Native American Ramada shelter, your pilot/guide will be happy to answer any questions you may have about the canyon or your helicopter flight. Visit the Vatican Museums, Sistine Chapel and St Peter’s Basilica on this must-do Vatican walking tour, in a group of no more than 20 people! With some 12,000 rooms spanning nearly 4,000 years of history, the Vatican’s magnificent museum complex can be overwhelming, so let an expert guide introduce you to its defining highlights on this 3-hour tour. Visit Raphael’s Rooms, Gallery of the Maps and more, and then step inside the Sistine Chapel to see Michelangelo’s fresco ‘The Creation of Adam.’ Finish with a St Peter’s Basilica tour and hear the secrets of the holiest place in Christendom. Choose from four different start times or upgrade to a small-group tour (10 people maximum). Skip the long lines for St. Peter’s Basilica with special access directly from the Sistine Chapel. Amble through Raphael’s Rooms, marveling at the interconnecting galleries that showcase the artistic genius of Raphael, and then enter the awe-inspiring Sistine Chapel – the crowning glory of any visit to the Vatican. Gaze up at Michelangelo’s famous The Creation of Adam ceiling fresco, see The Last Judgement on the chapel’s back wall and absorb the sacred ambiance of the pope’s private chapel. Upgrade to the 8:10am tour, and not only will you skip the long lines to enter the Vatican Museums, but you’ll gain access as soon as the doors open -- before the general public step foot inside. Groups never exceed 10 people, ensuring you’ll see the Vatican highlights up-close with personalized attention from your guide. Book the evening tour and explore the Vatican Museums and Sistine Chapel after the main closing times – an opportunity available for a strictly limited season. Access is only possible for people pre-booking an evening tour, so book now to secure your spot! The season runs every Friday from May 6 until July 26, and then from September 6 until October 25. Numbers are limited to 20 people. Tour does not include a visit to St Peter's Basilica. Special Offer - Book now and the price displayed includes a discount off the recommended retail price! - Book Now! Please note: the listed price does not include a USD $10 per person fuel surcharge, payable at the time of tour check-in. The fuel surcharge is required by our local supplier and is not within our control. If you want to see the Colosseum in a smaller group of just 12 people, then upgrade! The small-group Colosseum tour also includes entry to the arena floor, underground chambers and third tier – areas that are either newly opened or normally off-limits. Special Offer - Book on our '10am Tour and 3pm Tour' options before December 31, 2013, and save 5% on the recommended retail price. - Book Now! If you want to explore the Colosseum in a smaller group of just 12 people, and enjoy access to the arena floor, the underground chambers and the third tier, then upgrade! These areas are either newly opened or normally off limits, so by upgrading you’ll experience the Colosseum as few others do. Get in the holiday spirit with a ticket to the spectacular Radio City Christmas Spectacular at New York City’s Radio City Music Hall! Audiences of all ages will delight in this multifaceted spectacular, which includes Santa flying high above the crowd! Watch as your childhood dreams come true in the Nutcracker, and experience the true meaning of Christmas as it is brought to life in the awe-inspiring Living Nativity -- the beautiful story of the first Christmas. The Radio City Christmas Spectacular is an enduring Christmas tradition that has dazzled and inspired audiences for more than 75 years and continues to create memories that last a lifetime. Choose a matinee or evening show and come see why this razzle-dazzle show brings families back to this legendary show palace year after year! This show is a limited run from November 4, 2013 through January 5, 2014 only -- hurry and book your tickets to see this fantastic show! 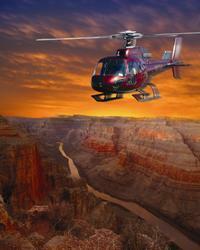 Take off from Las Vegas on a magical sunset helicopter tour to the Grand Canyon. You'll enjoy a 45-minute helicopter flight each way, land at the Grand Canyon for a champagne picnic while you watch the changing colors of sunset, then fly low over the famous neon-lit Las Vegas Strip on your return. Landing on Hualapai Indian land for a champagne picnic, you can admire the ever-changing colors of the canyon walls in the glow of twilight. Your pilot/guide will be happy to answer any questions you may have about the area or your helicopter flight as you watch the sun set over the horizon. Please note: the listed price does not include a US $10 per person fuel surcharge, payable at the time of tour check-in. The fuel surcharge is required by our local supplier and is not within our control. Note: Priority entry privileges, reserved seating, special demonstrations and special tours are subject to ride and attraction availability. A Front of Line Pass at Universal Studios Hollywood entitles pass-holders to enter attractions on a priority basis with a maximum wait of 15-minutes, per attraction. Special behind-the-scenes demonstrations are subject to change without notice and may be canceled. For information on rides, tours and attractions, please see below for additional information. See the Vatican as VIPs do – with this once-in-a-lifetime private Sistine Chapel viewing and tour of the Vatican Museum's secret rooms. This exclusive gives you unprecedented VIP access to the magnificent rooms that are usually off-limits to the public, allowing you to see a side of the Vatican that most never will. Be awed by secret rooms like the Niccoline Chapel and the Room of Gold, and see sights like Raphael’s Rooms. Due to a new Vatican partnership, this tour provides VIP access through a reserved door, allowing you to skip all the lines – even the priority lines. End your tour with an after-hours private viewing of the Sistine Chapel, empty except for your group (average 10 people) and guide. Michelangelo's fresco in the Sistine Chapel – including The Creation of Adam – is considered the most influential fresco in the history of Western art. See it with no crowds, linger over every detail, and earn one-of-a-kind bragging rights for the rest of your life! Skip-the-line Vatican tours are so popular, even the priority lines are long! But this tour includes exclusive access through a reserved entranceway, ensuring that you will not wait in any long lines. Spend three hours here on a small-group tour, accompanied by a Vatican guard to unlock doors to secret rooms. You’ll discover the Vatican as only VIPs like presidents and royal families usually do. In addition to the closed rooms, see many of the Vatican Museums’ classic attractions. As your expert guide entertains you with tales of Vatican art, power and treachery, admire Apollo Belvedere and other renowned monuments. Visit Raphael’s Rooms, the public part of the papal apartments in the Palace of the Vatican, and stroll through the Pinecone Courtyard. Spend your afternoon in the UNESCO World Heritage-listed town of Pienza, where you'll have approximately two hours to explore at your leisure. The town's layout was designed by Pope Pius II in the 14th century, as he wanted to transform the look of his birthplace. As you explore independently, soak up the serene ambience that stays true to the Pope's vision, and marvel at the town’s beautiful ancient architecture. Be sure to look in the shops for Pienza's most famous product – Pecorino cheese! Due to a new Vatican partnership, this tour provides VIP access through a reserved door, allowing you to skip all the lines – even the priority lines. Numbers are also limited to just 10 people on this unique Vatican tour, ensuring you'll see the very best of the Vatican Museums in a small-group atmosphere. The last part of your small-group Vatican tour focuses on St Peter's Basilica, with its distinctive 450-foot-high (137-meter) dome. Step inside to see why it’s so much more than just a church, and gaze in wonder at its awe-inspiring architecture and mosaics, including another Michelangelo masterpiece, La Pietà. Steeped in history, St Peters Basilica is said to stand on the ground where St Peter the Apostle was crucified and buried.